Certain applications have been seen to cause problems with Royal TSX. If you have any of the applications below installed on your system, then try uninstalling them or updating as suggested. On computers with SCFinderPlugin installed, Royal TSX might crash or not even start. In some cases we've seen this application to cause issues when using the FreeRDP plugin in fullscreen mode and using keyboard shortcuts that are bound in BetterSnapTool. If you are running into such issues please check your keyboard shortcut configuration in BetterSnapTool to verify that this is the source of the problem and adapt your shortcuts to not interfere with Royal TSX or your remote connections. If you're using ShareMouse to pass input to your Mac from another machine, you might run into issues with modfier keys (shift, control, option, cmd, etc.) in remote sessions. This is a general issue with how macOS handles simulated modfier keys. 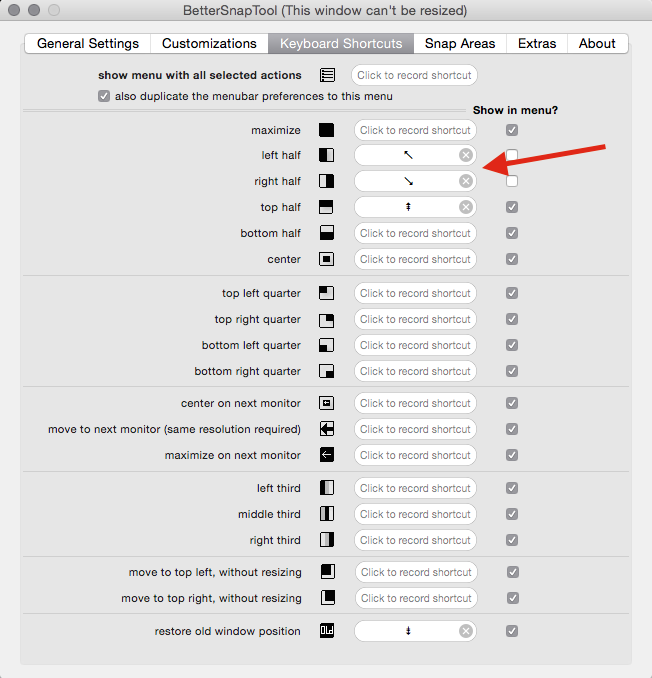 The developers of ShareMouse have provided a fix in version 3.0.28 of their software which is available by disabling the option "Simulate modifiers as Flag event" under "Preferences - Keys".